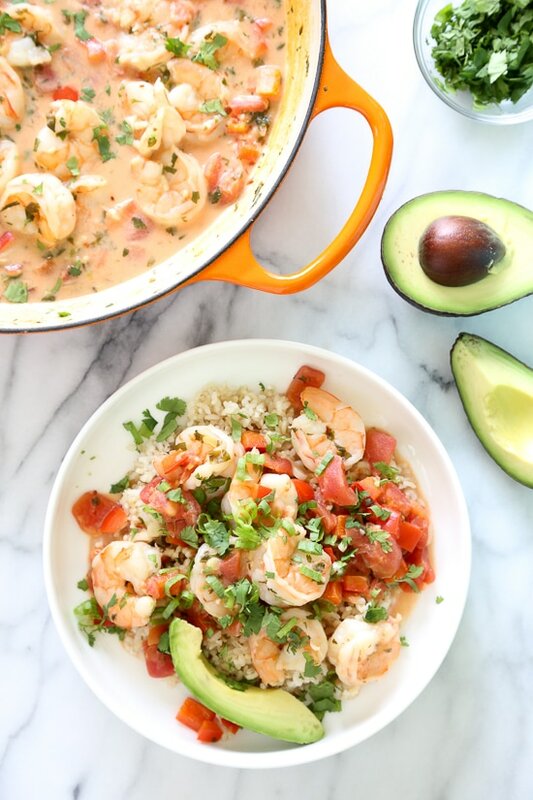 Garlic Shrimp in Coconut Milk, Tomatoes and Cilantro is a quick stew cooked in a light, tomato coconut broth with a hint of lime and cilantro. Simple enough to make for a weekday dinner yet sophisticated enough to serve to company. Serve with a little brown basmati rice to soak up the delicious broth. To make cooking more efficient and successful, chop ALL ingredients before you start sautéing. It’s also helpful to open the cans so they’re ready to go when you need them. 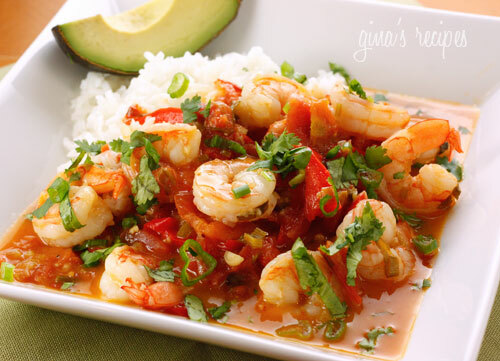 A quick shrimp stew cooked in a tomato coconut broth with a hint of lime and cilantro. Simple enough to make for a weekday dinner yet sophisticated enough to serve to company. Serve with a little brown basmati rice to soak up the broth. In a medium pot, heat oil on medium-low heat. Add red peppers and sauté until soft, about 4 minutes. Add scallion whites, 1/4 cup cilantro, garlic and red pepper flakes, cook 1 minute. Add tomatoes, coconut milk and 1/4 teaspoon salt, increase heat and bring to a boil, cover and simmer on low about 10 minutes to let the flavors blend and to thicken the sauce. Add shrimp and cook 5 to 6 minutes, until opaque and cooked through. To serve, divide equally among 4 bowls, about 1 1/4 cups then top with scallions and cilantro. OMG this was delicious!!! i made a half recipe because I had a half can of coconut milk and half can of tomatoes left over from other recipes. Followed recipe to the T. Served over quinoa (also left over). I will definitely be making this again and serve to company. Thanks!! Made this tonight as the recipe is written, served over doodles…Delicious! Thanks for sharing. 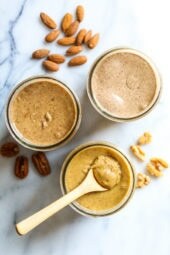 Hi Gina,I love this recipie and want to make it for my friend but she is allergic to coconut and almonds. Would regular milk work just as well or do you have any suggestions? Making this with chicken tonight! Our Valentine’s Day Dinner! This was easy and delicious. We like heat, so we added thinly sliced Thai Bird chilies, just before adding the shrimp. Thanks for a wonderful recipe. This was so easy and so delicious! Made as written and served over cauliflower rice. Next time I may add onions. The whole fam loved it and ate every bite. Thank you! Stumbled upon this one when I realized I’d purchased Thai chili paste instead of curry…. luckily the ingredients lent themselves perfectly to this deliciousness! As always, your recipe is a winner!!! Thank you! I made this for dinner and it is a delicious recipe. I made it just as the recipe instructed minus a bit of the crushed red pepper. I will definitely make it again. Hi all, a couple of members of my family cannot eat shrimp. What would be a good substitute? Scallops? Or would it not really go with this recipe? This was amazing, thank you for this recipe! My husband loved it too. I will def Italy be making it again! This was fantastic! 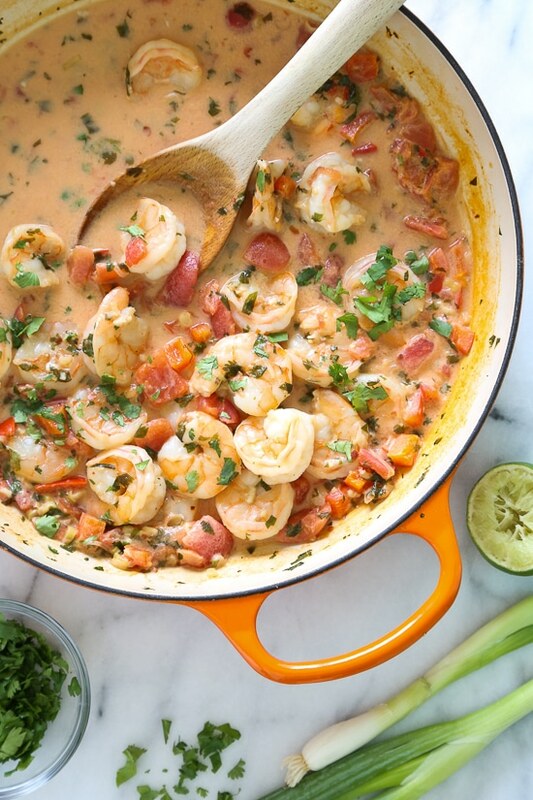 I have another shrimp recipe with coconut milk but it’s made with ginger and no tomatoes. I like yours better! I have made this twice now. It is absolutely delicious. I have not used coconut milk much in the past, but it’s going into my shopping cart regularly now. I make this for my best guy friend and His 3 kids. I double the recipe and than vacuum seal (I help him do meal prep)and put in the freezer. They don’t add the shrimp until heating it up or it taste to fishy. I use 2 cans of coconut milk and the third can (I know a type of coconut milk that separates) I use just the thick coconut milk part and dump the oil. I use a big table spoon of red curry paste and only a little red pepper flakes (his daughter doesn’t love spice that much). I also add Miniature canned corn (drained and rinsed- 2 cans). Additionally I add 1TB garlic powder and 1TB of onion powder. Don’t forget your salt and pepper. You MUST drain the 2 cans of tomoato. Also I add a little corn starch or flour to thicken it up. This was soo soo delicious! & Really easy & quick to make which makes it a favorite of mine. Everyone in the house loves it & they are some picky eaters. How do I measure 11/4 lbs??? One and one quarter pounds. I served the dish over rice which was the perfect pairing for dinner. However, I would say to drain the tomatoes before adding to the pot as it took a while to reduce to a sauce. I also added quite a bit more seasoning as I found it fairly bland. Which may also be attributed to not draining the tomatoes. The amount of red pepper flakes is about right though. Just enough to give the dish a bit of a kick. Overall, a pretty good recipe. This was great! I loved how all the vegetables soaked up the flavor. I added some lime zest before simmering, otherwise I made it exactly as written. Thanks for another winner! I thought I read where someone made this with chicken, but now I can’t find the comment. My husband can’t eat shrimp, so I want to make it with chicken, but I can’t figure out the best way to cook the chicken. Any suggestions? I have made this many times and it is delicious. I use Swai or any other fish. Cut it up and use as shrimp!! Is the rice included in the points? Really delicious and easy. I would drain the canned tomatoes as I had to thicken a little with some gravy flour. I put it over quinoa. Another winner from Skinny Taste! Wow, this is so delicious! We ate out yesterday at a “fancy” restaurant for Motjer’s Day, and this item could be on their menu. It’s THAT good! Made this tonight and had it over cauliflower rice, definitely a keeper! Delicious!!!!! Big hit for dinner tonight!! I’ll definitely be making this again. 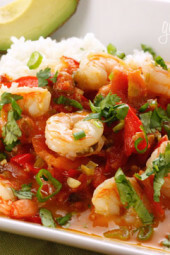 I was craving shrimp Penang from our fave Thai restaurant and then I saw this recipe. Thank youuuuu! Lighter and so fresh. I used cilantro from my herb garden, added some garlic chili sauce (we like it hot) and a squirt of Siracha sauce on top. I chopped my tomatoes a bit more in a mini chopper because we don’t like them chunky and I only had frozen precooked shrimp that I thawed and threw in for about 1 1/2 minutes.Simply delicious! We’ll be saving $$ and calories! 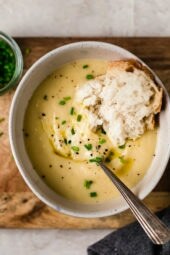 I love, love, love this recipe. 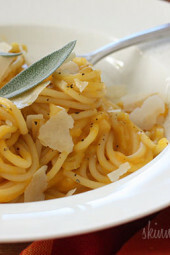 It is so quick, the flavors are fabulous and my husband loves it. I have even used left over sauce over chicken and pasta…wonderful. My husband could not stop raving about this. He’s from Singapore and kept saying how authentic tasting it was. I loved how simple it was. great recipe! DELICIOUS!!! And super quick and easy. Will be on regular rotation. Made this tonight during the East Coast snow storm. Wow! This was amazing!! Easy recipe to follow and loaded with flavor. What a treat after shoveling. I love your website and everything I’ve made so far has been delicious. It makes me feel great knowing that I’m eating healthy without losing flavor. Thank you! This was super easy and delicious. I used home canned tomatoes from last summer and it really added to the flavor. The rice took longer to make. Can you use unsweetened coconut milk? Loved this recipe. I added some onion, carrots and mushrooms to the pepper sauté. Served it over cauliflower rice. Delicious. Made this tonight for dinner and it was delicious. I did add some carrots and some red Thai paste and added more red pepper flakes to really give some heat. I also drained the tomatoes and mixed corn starch into the juice of the tomatoes, to help thicken the sauce. I served mine over cauliflower rice and it tasted like a red Thai curry. All the family enjoyed it. OMG! This is awesome! I added a can of Rotel in addition to the can of tomatoes to mine for some extra kick! It’s delicious! Will make again!